Michael A. McConnell is chairman of Kelly Hart & Hallman's Business Reorganization and Bankruptcy Practice. 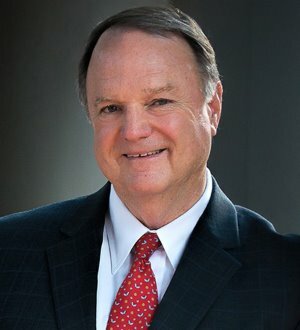 Since his graduation from the University of Texas School of Law in 1975, Mr. McConnell has gained a wide variety of experience in several practice areas of civil law, both as an attorney in private practice and as a member of the judiciary. A former U.S. Bankruptcy Judge from the Northern District of Texas, Mr. McConnell has represented secured and unsecured creditors, trustees, committees, and debtors in some of the most significant bankruptcy cases in this region. He has served as a Chapter 11 Operating Trustee and Chapter 11 Examiner in several complex Chapter 11 cases. He has also been involved in a variety of business, litigation, and commercial law engagements. Mr. McConnell has mediated a number of controversies involving business and commercial law issues of all types. He is an experienced arbitrator and currently serves as a member of the Panel of Neutrals of the American Arbitration Association and the International Centre for Dispute Resolution and the AAA's Large Complex Case Panel. Mr. McConnell has arbitrated a number of energy-related disputes and has been appointed to the prestigious National Energy Panel of the AAA. He is currently a member of Advisory Board of the University of Texas Law School Center for Global Energy, International Arbitration and Environmental Law. Mr. McConnell has served in a number of consulting/testifying expert witness engagements in both federal and state court in Texas and Louisiana. These issues have involved standards of professional conduct and professional liability, bankruptcy substantive law and procedural issues, Texas state law, and professional compensation. His expert reports have been filed in the High Court of the Hong Kong Special Administrative Region and the Superior Court of the Providence of Quebec, District of Montreal.